Former university employees and area businessmen are among those who have displayed outstanding commitment not only to the university but to their respective communities as well and have been selected to receive the 2009 SHSU Alumni Association Service Awards. Dennis Culak, Joe and Winnie Farris Sandel, Marie Hayden and Kerry Murray will be honored at a luncheon on April 24, at 11:30 a.m. in the Lowman Student Center Ballroom, for their fulfillment of the university's motto, "The measure of a Life is its Service." Tickets for the event are $25 for Alumni Association members and $30 for non-members. Reservations can be made by contacting the Alumni Relations Office by phone at 936.294.1841 or by e-mail at alumni@shsu.edu. Alumnus Dennis Culak literally served and protected SHSU for 34 years as a member of the University Police Department. Culak earned bachelor’s and master’s degrees in criminal justice from SHSU, in 1973 and 1975, respectively. He also earned an associate’s degree from San Jacinto College in 1971. When he retired in August 2008, he had risen through the ranks during his career with the UPD, from police intern/student assistant to director of public safety/chief of police, and “left some extremely large shoes to fill. “Dennis’ management style reflected the motto of the university: ‘The measure of a Life is its Service;’ influencing the department’s operations at excelling to go the extra distance to provide a level of service that reflected his own mantra,” said a nomination letter. “Dennis went out of his way to make sure that every employee was well taken care of and made sure that if any problem arose, it was taken care of immediately. 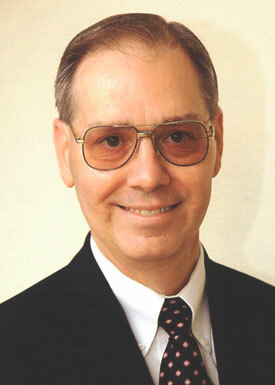 Culak has been a member of the SHSU Alumni Association since 1980 and is currently a life member. Outside of the university, Culak is a member of St. Thomas Catholic Church in Huntsville, where he serves in the greeters ministry, as well as a Eucharistic minister and a member of the Knights of Columbus; and previously served for a year as president and three as a member of the Huntsville Band Boosters, as well as a coach with the Huntsville Boys Baseball Association. He has also participated in the Texas Association of Chiefs of Police, the 100 Club and Rotary International. He and his wife, Paula, live in Huntsville. 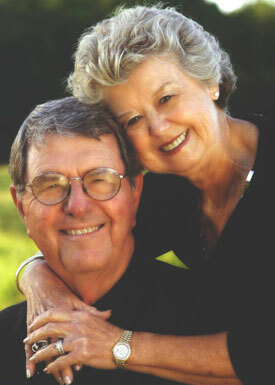 “Supporters of the youth of Walker County,” Joe and Winnie Farris Sandel are alumni of both the Huntsville school district and SHSU. Joe attended SHSU from 1952-1954 before transferring to the University of Texas in Austin to receive a degree in petroleum engineering in 1957. Winnie earned her bachelor’s degree in elementary education in 1956. Currently “semi-retired,” serving as the chairman of the board for Sandel Energy, Joe started in the industry after graduation, working for Humble Oil Company for 12 years before moving back to Huntsville in 1969. He then owned and operated Sandel Supply Company for five years as he gradually started a small oil and gas company. 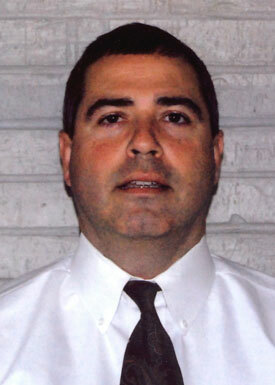 He also is currently active in cattle ranching in Walker County. His service to the community has included leadership roles with the First United Methodist Church, and membership on the board of directors for First National Bank, Bluebonnet Ground Water and the United Way of Walker County. At SHSU, he is a member of the President’s Circle and the Athletic Department’s Championship Committee. A teacher for 13 years, Winnie is a member of the Huntsville Study Club and helped establish Huntsville’s Christian Women’s Club. She is an active member of First United Methodist Church and was instrumental in helping start the church’s intercessory prayer ministry. Winnie also serves on the board of the Fellowship of Christian Athletes, an organization that serves the student athletes of SHSU. Together, the couple supports the youth of Walker County through the Walker County Fair Association and 4-H Horse Club. Avid golfers, they traveled with SHSU’s golf team for several years, playing in tournaments with the team and have participated in the LuEllen Gibbs Golf Invitational, currently known as the “Masters Challenge,” which benefits the university golf team. The couple also established the H. H. “Tubby” and Nuna Sandel Endowed Scholarship, which currently benefits three students at SHSU. In addition, the couple serves on the executive leadership council for the Share the Vision capital campaign, with Winnie serving as the principal gift section chair for Walker County; are members of the Samuel Houston Society and life members of the SHSU Alumni Association. The Sandels have three children and six grandchildren. Even though she retired as a professor of library science at SHSU in 2005, Marie Hayden’s service to the university has not ended. A 1969 SHSU graduate with a bachelor’s degree in geography, Hayden joined the faculty in 1970, when she completed her master’s degree from Louisiana State University. 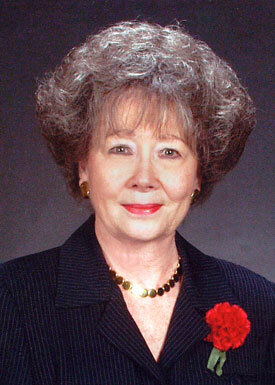 She earned her doctorate from Texas A&M University in 1979. Hayden’s expansive service to the university—which includes participation on presidential and vice presidential search committees, chairing of the faculty senate and a plethora of scholarship and policy committees—led to her being recognized with the SHSU Excellence in Service Award in 2000. She served on the SHSU Alumni Association’s board of directors for 12 years and is a life member of the Alumni Association. During her time as board president, she presided over such association milestones as the dedication of the Alumni Clock in the Alumni Gardens, the dedication of the Bell Tower and the Distinguished Alumni awards gala. Hayden also served on the ring committee that designed the university’s official class ring and participated in the first ring ceremony in 2004. In addition, she has established several scholarships, including the Gene P. Heinrich Endowed Scholarship in the College of Business Administration, created in memory of her brother. Hayden has two children, Linda Marie and Keith Austin Hayden, and two grandchildren, Robert Austin and Joshua Daniel Hayden. The owner of Murski’s Icehouse in Huntsville, Kerry Murray’s “giving nature” has benefitted his alma maters both monetarily and through service. The 1993 Bearkat alumnus, who earned his bachelor’s degree in biology, has utilized his restaurant to support the SHSU athletics program through more than $25,000 in in-kind gifts and the employment of more than 300 students during the 15 years he has owned Murski’s. He has also kept statistics at the football and basketball games. A guest lecturer in marketing classes, Murray implemented a contest developed by a class during the 2008 football season called “Points of the Game,” in which a student is selected to win a free hamburger for every point Sam Houston scores. The 1987 Huntsville High School graduate has also given more than $90,000 to the Huntsville schools, youth football and baseball/softball programs, established a number of scholarships for high school athletes, donates regularly to a number of Huntsville’s charitable organizations and volunteers for the Spirit and Big 12 Conference golf tournaments. Murray is the third in his family to receive the SHSU Service Award. His father, Guinn Hugh Murray, was honored as a recipient in 1998, and his uncle, Michael Murray, is a 2007 recipient.